The wide open spaces of Australia make it the perfect country for taking a road trip. Tens of thousands of Australians and visitors traverse this geographically diverse country every year. From the white sandy beaches of the east coast, the surf beaches of the west, the stunning rocky coastline in the south and the rainforests of the north, this country has just about every landscape covered. Move into the outback and the desert awaits you, completing the diversity so often missed if you only come to visit for a few weeks. There are small towns where only a few people are known to live through to the larger cities with millions of people. There are places where there is plenty to see and at other times…….absolutely nothing. I always think about Europe when I think of Australian road trips. In 1000 km in Europe I can quite possibly pass through two or three countries. Here, I can drive that distance and see nothing but trees and the road ahead. It’s why you need time to road trip through Australia. To see Australia properly takes patience. A long road trip is perfect for this. But road trips are not for the faint-hearted in Australia, nor are they for people who get bored traversing long stretches of road, with not a lot in between. I often think that the term “are we there yet?” was created just for Australian road trips. Highway Number 1, the main road that circumnavigates the country, is almost 15,000 km long. It links all of the mainland state capital cities and generally speaking, the roads are in better shape here than what you might find elsewhere. Note – this is not always the case and will differ state by state, area by area. It is the complex set of roads and tracks that make up the interior that provides a different view of Australia. Planning covers a number of key decisions and actions prior to just grabbing a vehicle and heading off. How much time do you plan on travelling for? Road trips can be as simple as a weekend away, but even then the kilometres travelled can be much more than you might travel say in a European country. For example, a road trip we have done many times to our family home takes 12 hours of driving that we complete within a day. However, people also hit the road for a few months, some even take much longer. It just depends where you want to go and how long you have available to do it. Which parts of Australia are you planning on visiting? The coastal roads are by far the easiest to navigate and drive on. Access to major cities and all of the infrastructure and services that go with them are easily accessible. Places to stay are also more plentiful and if you get into any kind of vehicle trouble, help is not too far away. It’s also where the majority of the population lives so there’s more to do and more people around. The areas of Far North Queensland, the Northern Territory and Western Australia start to make road trips more challenging, with weather conditions, roads, 4wd access, native title issues and remoteness all playing a part. In some of these areas, you can drive all day and not see anyone, and your level of planning and preparation needs to be at a much higher level. If you are considering driving through the interior, the stakes are increased yet again. Here, a failure to prepare properly, especially where it concerns petrol, food, vehicle issues etc can be life-endangering at their very worst. Ordinary vehicles should not be driven in these parts. Supplies, equipment, maintenance and communication programs become essential also. But how do you know which vehicle is the best for you and your trip? The choice of vehicle can be quite overwhelming. In Australia, there are several different types of vehicles that are used for road trips and camping. These are the large, self-contained vehicles, usually bought for long-term road trips. The driving cabin is contained within the vehicle. They can be hired from companies like Apollo and Britz but I would only recommend doing this for short periods and it would be cost prohibitive to do so for extended periods. Hiring, as opposed to buying, also puts a time constraint on your travel which might not be ideal. Motorhomes are fantastic for long trips as they can be stocked well with everything you might need for long periods of time. Large amounts of groceries can be stored on board, spare water and fuel too. The motorhome resembles a home, with bedroom, dining/lounge areas and a kitchen and shower/toilet. Everything you could possibly need to be self-contained can be found on board. Some have televisions, air-conditioning/heating and storage. Some of the fancier ones have washing machines and generators. The sky can be the limit when it comes to motorhomes with people spending hundreds of thousands of dollars on the latest state-of-the-art vehicles and equipment. Similarly, there are some fabulous vehicles to be found in the second-hand market. The great thing about buying second-hand motorhomes is that the purchase price will be less, but you can still make additional modifications to bring your vehicle up to the standard you require. When creating a checklist of what is important to you in a vehicle, it is often hard to get everything and at the price you want. Consider getting the most important things and then get other features retro-fitted after your purchase. There are plenty of service providers in Australia who can modify such vehicles. Caravans are attached to a vehicle via a towing hitch behind the car. 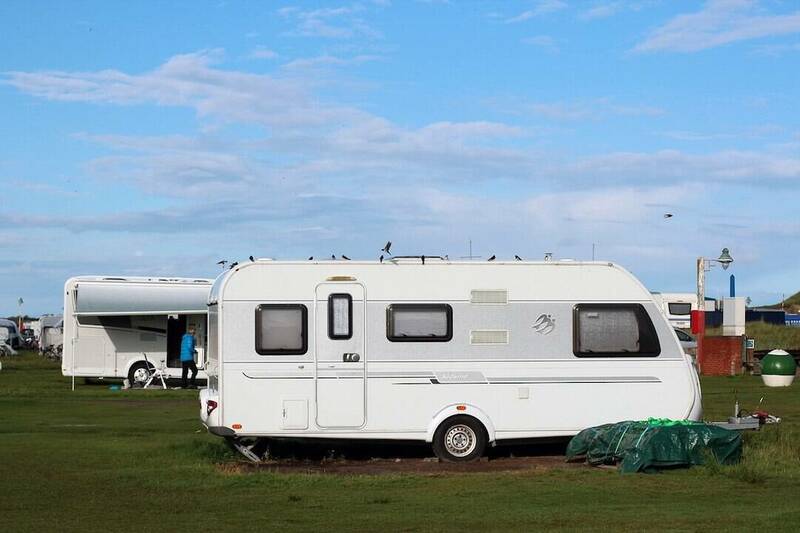 At camping grounds, the caravans can be detached and the vehicle used to travel around the local area without having to tow the big caravan everywhere. Caravans are used mainly for long-term road trips. They are more often purchased outright by road trippers as opposed to hired for short terms rentals. Similar to the motorhome, top of the line caravans can be bought brand new, but the market for second-hand caravans is very strong in Australia. Caravans can be simple single-axle vehicles or very large dual-axle configurations. Towing can be tricky, especially for first-timers. Check out these tips on how to tow a trailer or caravan. Campervans are a smaller version of the motorhome and are often referred to as campers. They are easier to drive, being smaller, but have less on board inclusions. Whilst some camper vans have small kitchens and bedding, most smaller vans won’t have indoor bathroom facilities. Some of the larger ones, however, may do so. Road tripping in a camper van often requires stopping at official campgrounds. Campervans are usually the go-to vehicle for backpackers and short-term visitors to Australia, to drive the coastal routes. I wouldn’t recommend taking these onto the central Australian roads. They can, however, be used for long road trips around Australia, if they suit your level of comfort. This is our campervan, which we love. The fit out inside is great for a vehicle of this size and it’s perfect for short to medium term trips. These are smaller options, where a tent-style configuration is packed into a small trailer, towed by a vehicle. The trailer “pops up” to a tent that sits on top of the trailer, above the ground. These are more suited to short-term trips and weekend camping. The exception would be some of the off-road, robust 4WD camper trailers that are built with a sturdier purpose, like driving on the central Australian roads in mind. There’s less luxury to be had here though. Depending on your chosen route, the style of camper trailer may change. If you are planning on going onto off-road tracks, camper trailers with higher clearance and a more sturdy construction will be required. For more basic road driving, particularly around the coastal roads, the more common standard type of camper trailer would be adequate. For a more basic camping road trip, many will take a fully kitted out 4WD. As there is usually nowhere to sleep inside, tents and swags are often used. This provides a back to nature type of experience for those who are prepared to camp a little more roughly and without any of the luxuries of the other vehicles noted above. 4WDs are the vehicle of choice for the outback and in many areas where the roads simply can’t be driven by conventional 2WD. Budget – this will drive your decision to purchase a brand new or second-hand vehicle. Level of comfort – motorhomes and caravans are built for greater comfort, with more mod-cons on board. They also eliminate the need to set up each day. Whether you will be wanting to avail of campgrounds/plug into power etc every day or Iive more “off the grid”. Once again, motorhomes and caravans are designed to be able to live off the grid for longer periods of time. Also, if you can find a place to camp away from an official site, you are fully self-contained. Note – there are restrictions on doing this in certain cities in Australia. Always watch out for signs that exclude roadside camping. Tip: We use Wikicamps app and YouCamp to look for both paid and unpaid campgrounds. There are also many Facebook forums which can assist in finding great locations to camp. Type of roads you will be driving on. Whilst many of the Australian roads are fantastic, others are not so great. Matt Williams of Matt Williams Photography told me once that “it took us 12 hours to travel 84km with 4 busted shocks!”. This was on a severely corrugated track in the Australian outback. There are also plenty of dirt tracks and gravel roads. Length of time on the road trip. The longer you travel for, the more you are going to want to have your own vehicle and not have it for a short-term hire. Whether you want to keep “setting up” at each stop or not. At the start, setting up your tents, outdoor canopies, kitchen equipment and shower equipment might not feel too bad. But, if you are on the road for longer periods of time, this will become tiresome very quickly. 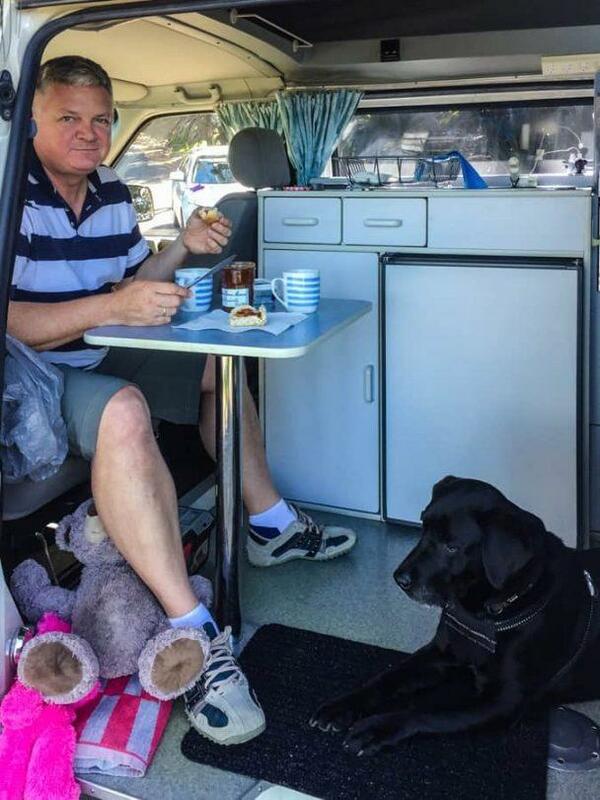 Having a larger campervan, caravan or motorhome, where everything is accessible all of the time will make life much easier. Pulling into a campground or stopover spot where you just have to drive in, also makes for a smoother and less complicated experience. Where you will be travelling. This will inform many of your planning decisions from the amount and type of fuel you might require, the type of accessories, the amount of time required etc. If you are planning on reselling the vehicle after your trip. The second-hand market is strong in Australia, with many vehicles regularly bought and sold on Gumtree, one of the main online trading markets in Australia. A smart purchase at the beginning of your trip will facilitate the potential for a good sale at the end. Whether you need to have anything modified and whether this fits your budget (or ensuring it doesn’t over-capitalise the purchase). You will require a membership to a roadside breakdown service. It’s important to remember always that Australia is a large country. If a breakdown occurs, literally in the middle of nowhere, you could have more trouble and inconvenience than you bargained for. Insurance is also a necessary item for any road trip, to cover yourself, third party people and property, the vehicle itself and your possessions. Time of year – eg Far North Queensland and Northern Territory rainy seasons. If you are planning on driving a 4WD to tow a caravan, it is a good idea to get some official training first as the roads are tough in many places even for experienced drivers. A strong second-hand market for motorhomes, caravans, campervans and camper trailers in Australia. Perhaps you might like to consider a DIY campervan conversion? Click here to find out how. Wherever you go, however you decide to do it, road trips in Australia will offer you a trip like no other. The experiences you will encounter along the way will be memories for life. The people you meet will cement those places you visit into your memory bank forever. Hopefully, they will make you love this beautiful country as much as I do, and it will bring you back time and time again. Copyright is held by images credited to Matt Williams from “Mattography – Matt Williams Photography” in this article. The images are used in this article with his full permission.